The objective of this research is to look at the consequence of migration of both male and female labour migrants on the household members- children, spouses and elderly. It aims to generate knowledge on impact of internal and international migration on left behind family members and to help policy makers integrate the interest of left behind families in national planning as well as ensuring benefits of Sustainable Development Goals, 2030 to the members of migrant HHs. Through a countrywide study in 10 regions, this study would like to understand the role of migration in ensuring wellbeing of left behind children of male and female migrants, the agency of children in overcoming the constraints created by parental migration and analyze the impact of migration on gender relationship with their left behind spouses. DEltas, Vulnerability and Climate Change: Migration and Adaptation (DECCMA) is new 5-year long research project launched on 2014. The DECCMA project will analyse the impacts of climate change and other environmental drivers across contrasting deltas in Africa and Asia. Specifically, the DECCMA project will analyse the sustainability of migration as an adaptation option to climate change and associated vulnerabilities across three deltas: Ganges-Brahmaputra-Meghna (GBM), the Mahanadi delta and the Volta delta. The main objective of WP3 is to assess the role of migration as an adaptation in deltaic environments with a changing climate. RMMRUcarriedout following activities since the beginning oftheDECCMAProject. The major aim of this work package is to identify, scope, types, and sustainability of adaptation options (including migration) occurring in deltas, with a focus on adaptation at the household and national level. RMMRU carried out the following activities since the beginning of the DECCMA Project. • Submitted abstract on ‘Adaptation for future’ (Gender aspects of adaptation) held in the Netherlands, 10-13 May 2016. The impact of migrant remittances on development is a widely debated issue which at times generates mixed conclusions. 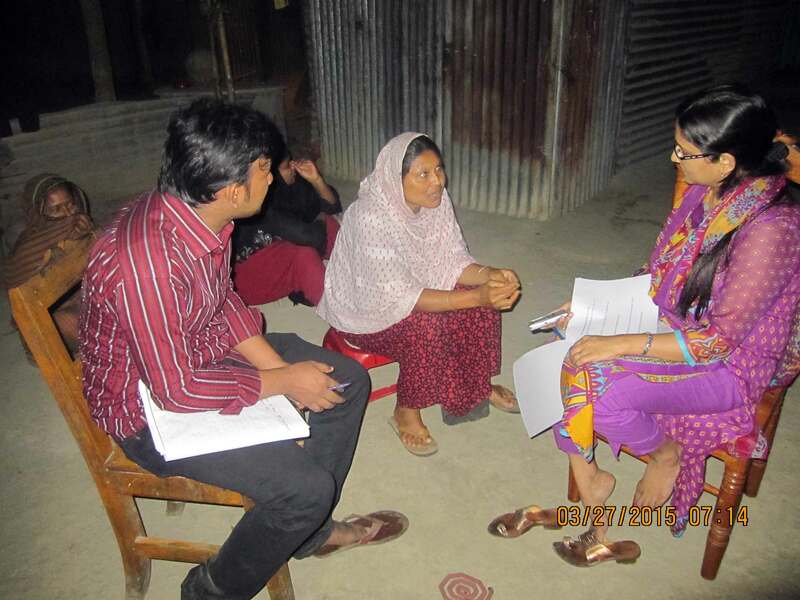 Gendered practices of remittance use and the shaping of youth aspirations: A case study of Bangladesh is a research that RMMRU launched February 2015. The overarching aim of this research project is to explore how migration impacts on household dynamics in a community which has a high level of outmigration. In particular, this project will explore whether migration is changing gender norms and relations within households, or reinforcing the existing norms. The key areas of focus for the research project include (i) gendered patterns of remittance earning, sending and use; (ii) migration as a catalyst for long-term investment in communities; and (iii) youth aspirations. This research project will thus address the three key research questions outlined below which are common to all partners undertaking this project as part of the RPC. • What gendered patterns of remittance use can we observe? • Do remittances sent by migrants allow long-term investments in human capital and education? • How does migration affect the life choices of young people living in migrant communities? The study is following a qualitative approach involving both primary and secondary methods of data collection so as to enable ourselves to understand human behaviour at a personal level. • Literature Review has been done. 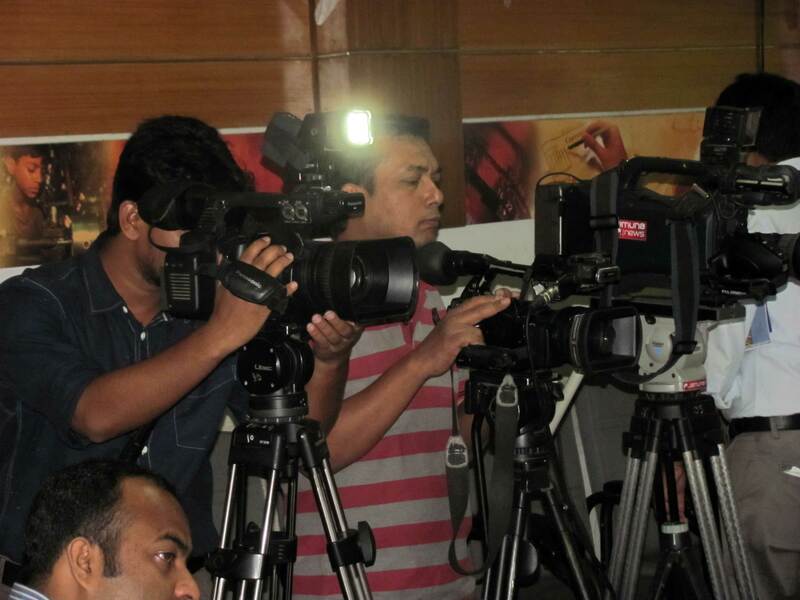 • A media stakeholders' meeting has been organised. • Fieldwork has been completed. • Field data has been analysed thematically. • Two articles have been published in the national newspaper based on research findings. • A Public Service Announcement (PSA) is being produced. 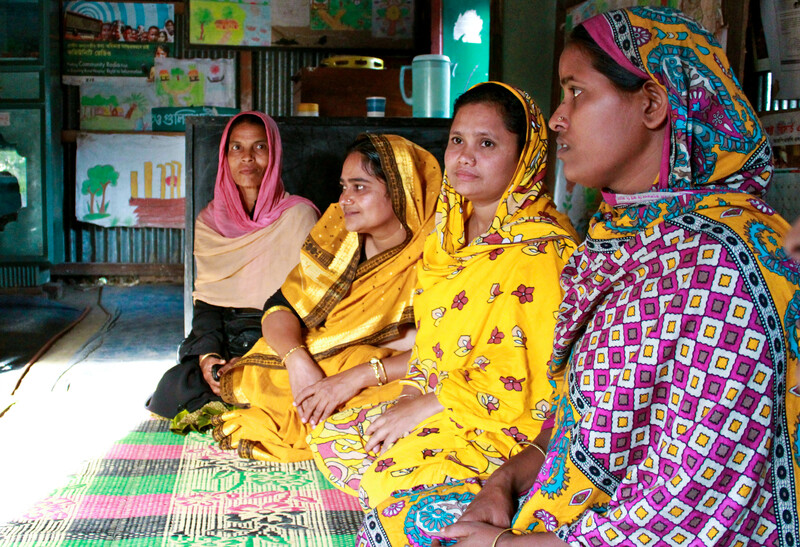 An estimated 2 million domestic workers, mostly women and children, are employed in Bangladesh. They are excluded from the coverage of the 2006 National Labour Law, and are thus employed in a complete policy vacuum. 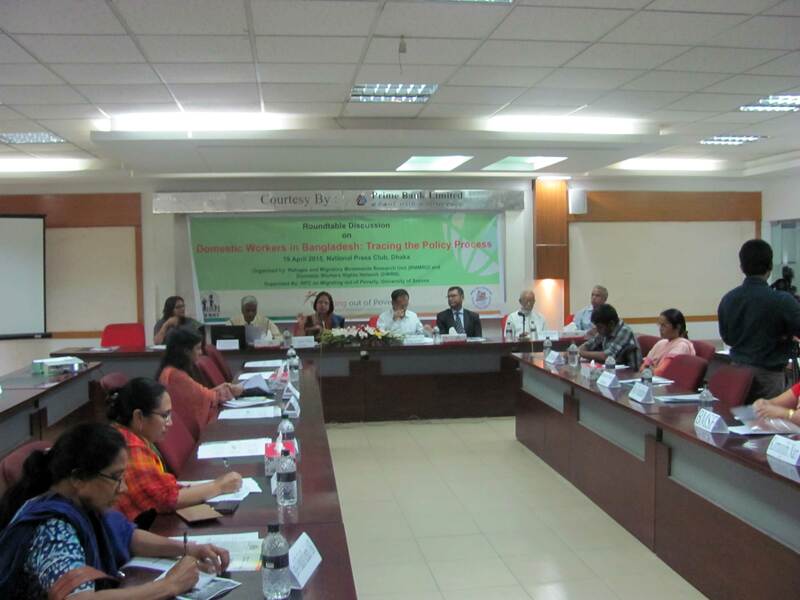 Since 2007, the Domestic Workers Rights Network (DWRN), an advocacy coalition of rights-based NGOs and trade unions in Bangladesh, has been working with the Government of Bangladesh to develop a domestic workers policy. A draft ‘Domestic Workers Protection and Welfare Policy (DWPWP)’ was adopted in 2007, and since then it has gone through several changes, with inputs from the workers, employers, and the Ministry of Labour and Employment. This study adopts a ‘3Is Framework’ to investigate which institutions, ideas, and interests shape the position of various stakeholders involved in the domestic workers policy formulation process. As part of the study, RMMRU conducted a stakeholder meeting and several interviews with senior officials representing the government, NGOs, trade unions, and private sector employers. A draft working paper and a policy brief are in progress. A desk calendar featuring the domestic workers rights is planned and expected to be delivered to RMMRU by 1st week of December 2015. The Impact of Migration on Poverty and Development (IMPD) is the much anticipated survey research that RMMRU launched Sept/Oct 2013. 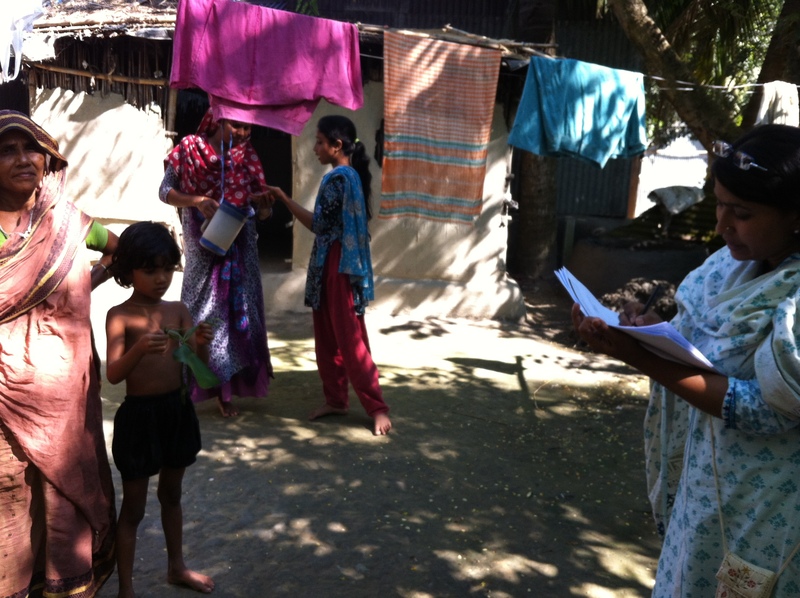 The survey will generate panel data across diverse low, medium and high migrant districts of Bangladesh. 5000 internal and international, female and male, migrant and non-migrant households will be surveyed every 2 years for 10 years to elucidate the impact of internal and international migration on the household and broader community. This research will focus on gendered effects of migration, to gain an understanding about how migration directly or indirectly affects the participation and autonomy of women in the household and in the community. The study will also engage in sustainable strategies for economic growth through enterprise development as a result of migration in communities, and expand on conditions that facilitate investment in local economy. 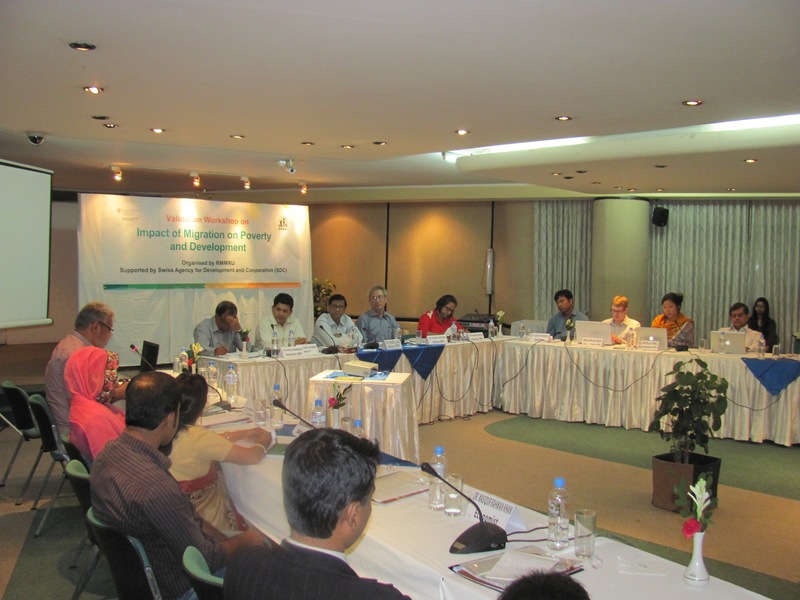 RMMRU organized a validation workshop on October 22, 2013 for advisory board members, government functionaries, NGO representatives, researchers and academics to provide input and guide the methodology for IMPD. 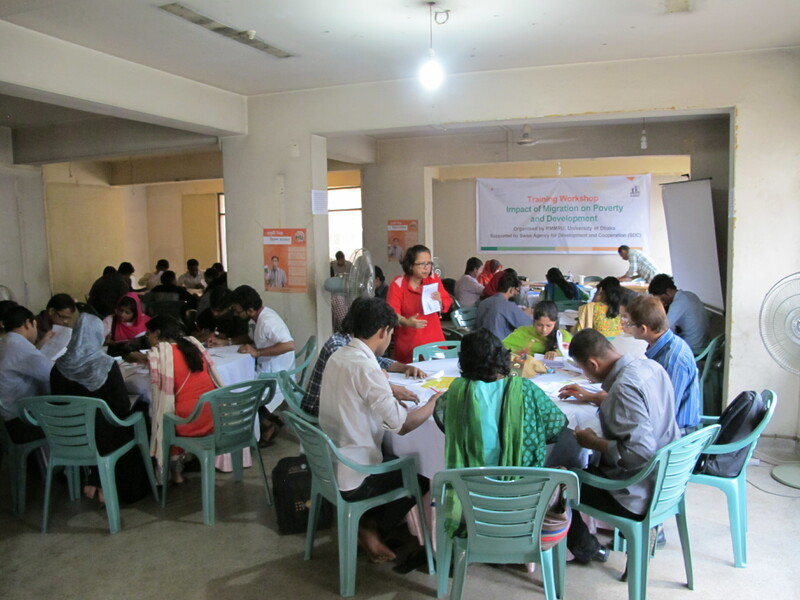 From November 22 to 24, 2013, the RMMRU team prepared a training orientation for field research interns in preparation for the first stage of field research. Please check past events for more information. RMMRU is currently undergoing it's first stage of its 10 year national migration survey, Impact of Migration on Poverty and Development. Migrating out of Poverty is a seven-year Research Programme Consortium (RPC) led by the University of Sussex, UK and funded by the UK’s Department for International Development (DFID). [LINK] Research from the Migrating out of Poverty RPC focuses on the relationship between internal and regional migration and poverty in five regions across Asia and Africa. It also works on policy engagement in Europe. 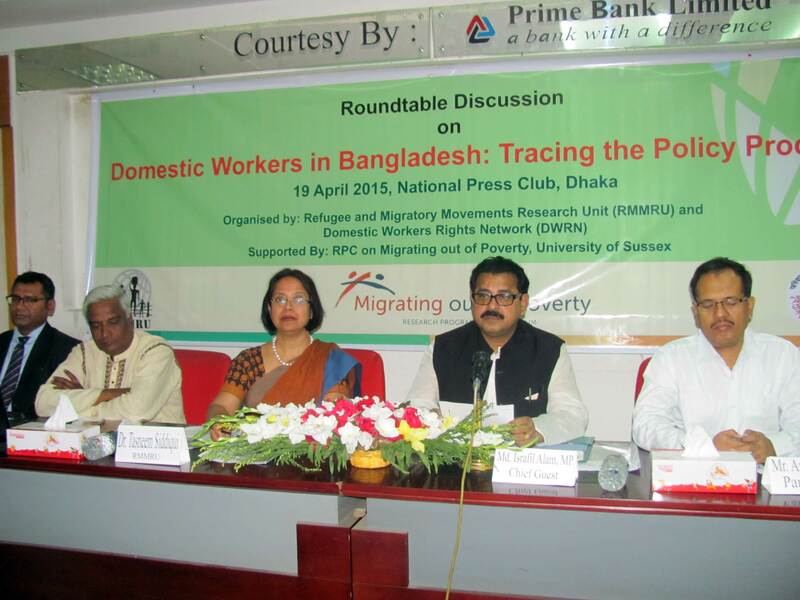 The Migrating out of Poverty RPC has been established as a partnership between research institutions in Bangladesh, UK, Ghana, Kenya, Singapore and South Africa, all working on the links between migration and development. It focuses on the relationship between regional migration, internal migration and poverty and is located in six regions across Asia, Africa and Europe. The goal of the Migrating out of Poverty RPC is to maximise the poverty reducing and developmental impacts of migration and minimise the costs and risks of migration for the poor. This includes generating new knowledge related to migration and poverty; creating new datasets; engaging policymakers, and building capacity to understand and research migration and poverty linkages. A global research programme is complemented by focused programmes in the regions of the Consortium’s core partners. 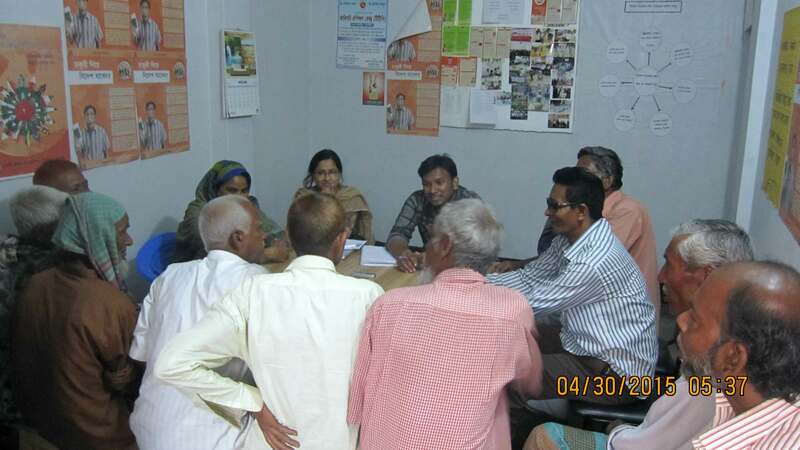 In South Asia, RMMRU is the core partner of Migrating out of Poverty RPC. 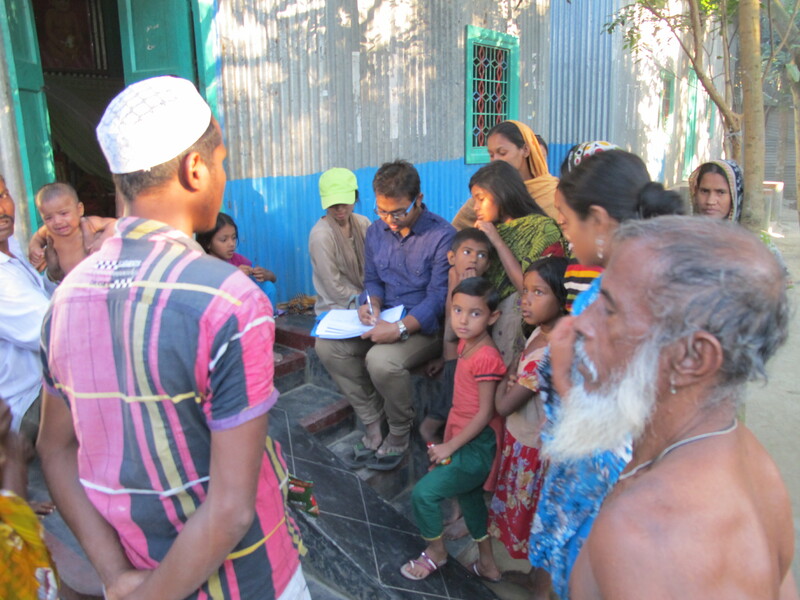 Under auspices of the Migrating out of Poverty RPC, RMMRU is addressing various migration issues through collaborative research in Bangladesh. This research will be useful for for academics, researchers and policymakers alike. The Consortium has adopted a mixed methods approach with sequential ordering of three research components: quantitative, qualitative and policy research-that will speak to each other and yield a holistic and comprehensive understanding of migration-poverty linkages. 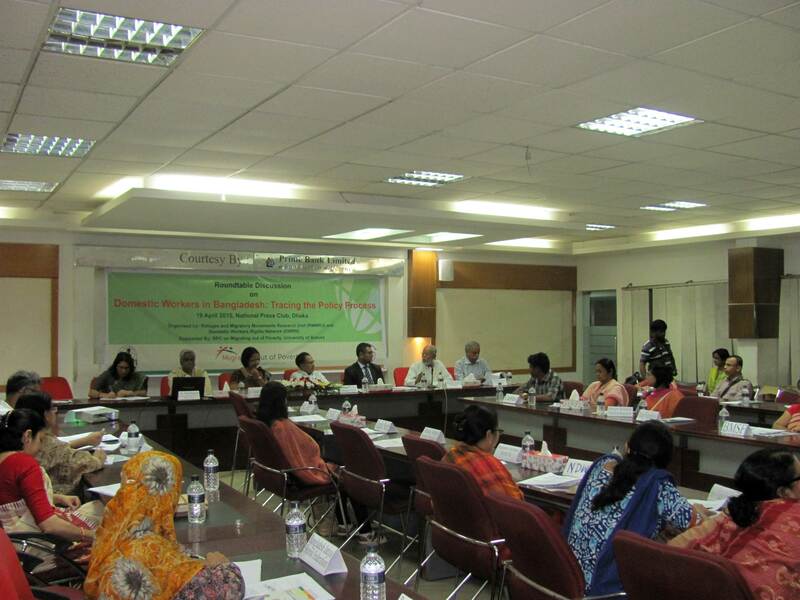 The Global Qualitative Research titled Institutional Strengthening of the Office of Labour Attachés: Comparative Analysis of Bangladesh, India and the Sri Lankan Experience aims to conduct a comparative analysis of the structures and functions of labour attachés of three South Asian countries: Bangladesh, India and Sri Lanka, located in two destination countries in the Gulf namely the UAE and Qatar. The main objective of this research is to recommend measures for strengthening the offices of labour attachés of different countries of origin, located in the countries of destination for better protection of migrant workers. Another important goal of the research is to assess the scope of collaboration among offices of labour attachés of the countries of origin. The regional research project titled “Impact of Migration on Poverty: the Case of Construction Workers of India, Nepal and Bangladesh” is a collaborative research that aims to study the conditions including the role of social networks, skill development, and social protection programmes-which lead to more favourable outcomes in terms of reducing poverty and vulnerability and improving the living and working conditions of the migrant workers in the construction industry and their families. A total of 450 construction workers will be interviewed (150 in each country) and in order to gain in-depth insights about impact of migration on the household poverty situation, in each of the countries households of migrant workers will be interviewed at the source areas. Bangladesh is highly vulnerable to the adverse impacts of climate change. 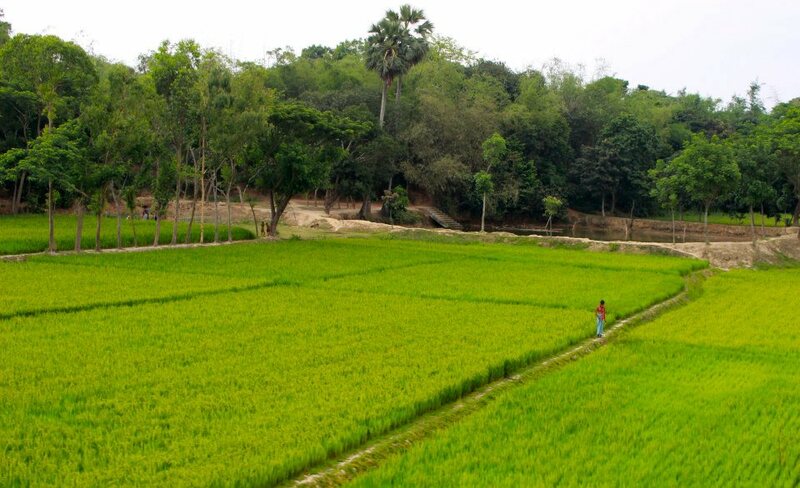 Past climate shocks have exerted a heavy toll on the lives and livelihoods in Bangladesh. Migration is an important adaptation strategy for poor rural populations to cope with both gradual onset climate stresses and shorter, sudden shocks. 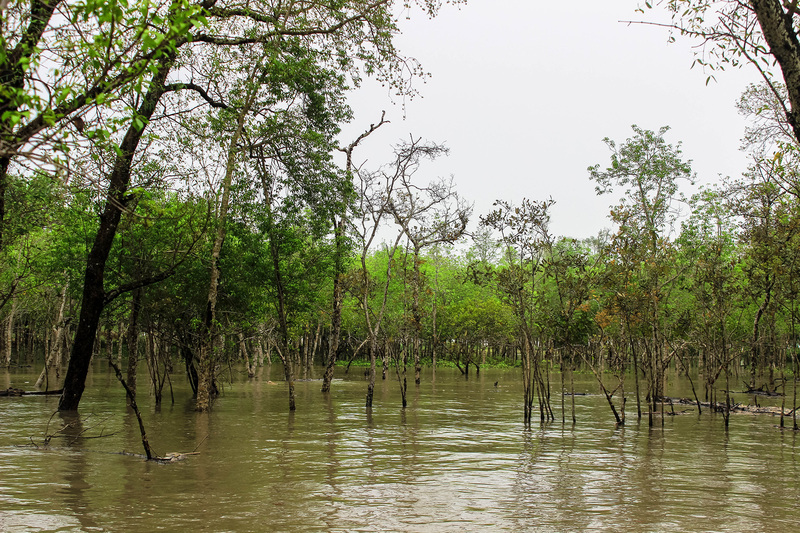 This research aims to bring a greater understanding to the links between climate change and migration in a Bangladeshi context. Through the findings of this project, the Government of Bangladesh will be able to better respond to climate induced migration, at different levels, while reducing vulnerability and building the resilience of the people of Bangladesh to the impacts of climate change. The research project will undertake a detailed, evidence based qualitative and quantitative assessment of three case study areas: the climate change hotspots of the flood plain, riverbank erosion areas in Munshigoni, the coastal belt of Khulna and Satkhira, as well as the drought prone region of Chapainawabgoni.